This poster is from the 1936 referendum. 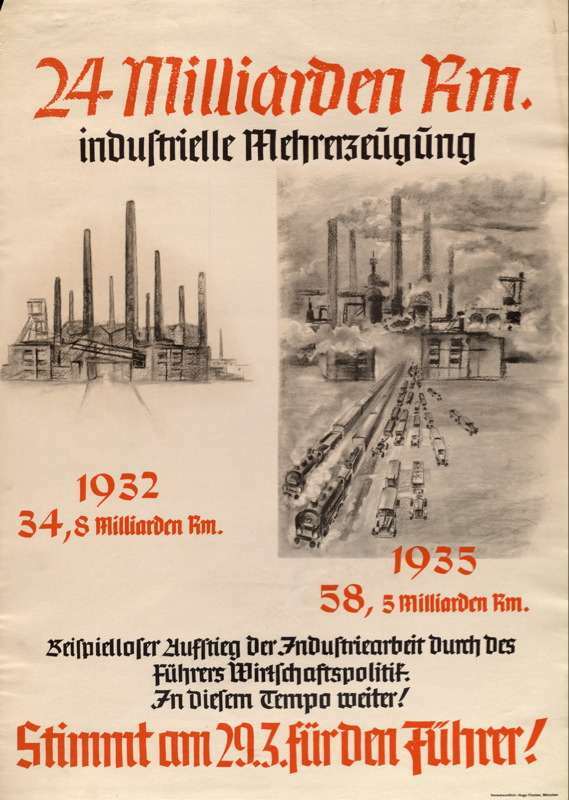 The text says that German industrial production has risen from 34.8 billion marks in 1932 to 58.3 billion in 1935. “An unprecedented increase in industrial production is the result of the Führer’s economic policy. Keep it going! Vote for the Führer on 29.3!” Courtesy of the University of Minnesota Library.